We are a husband and wife team (James and Jane) who run the company from our home studio in Essex. I (Jane) adore a good wedding and am our resident wedding expert!! James is a very talented graphic designer, who is responsible for bringing all of our wedding invitation designs to life. How did your business get started and what were the ideas behind it? It kind of started by accident!! 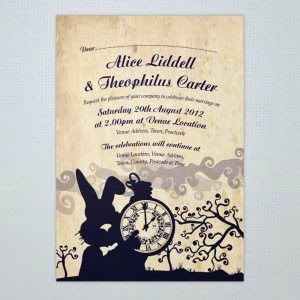 James designed all the stationery for our own Mad Hatters tea party themed wedding. 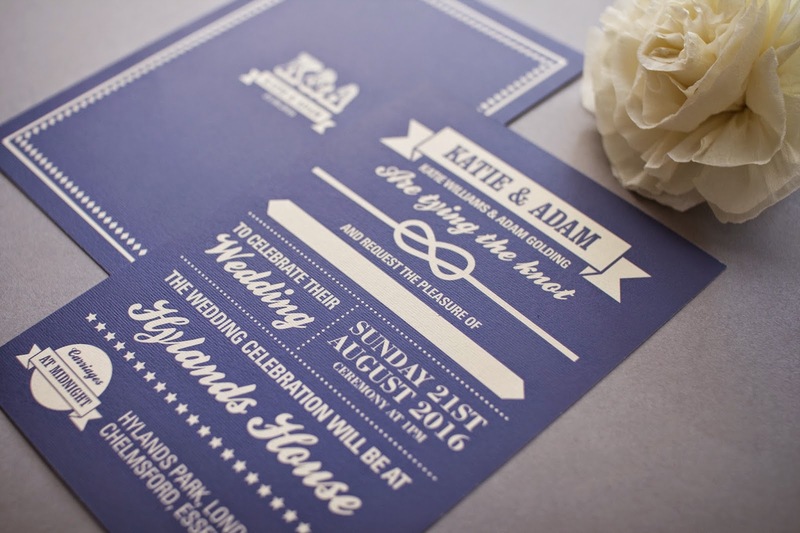 We both really enjoyed the process of creating the designs together and decided to share the images of the stationery on-line. We then started getting requests to recreate the invitations for other couples and it grew from there. Why did you choose to focus on weddings? Because it was our wedding that started the whole company inn the first place & who doesn't love a wedding!! We have also designed prom invitations, birthday invitations and wedding anniversary invitations & would like to extend our offerings further at some point in the future. 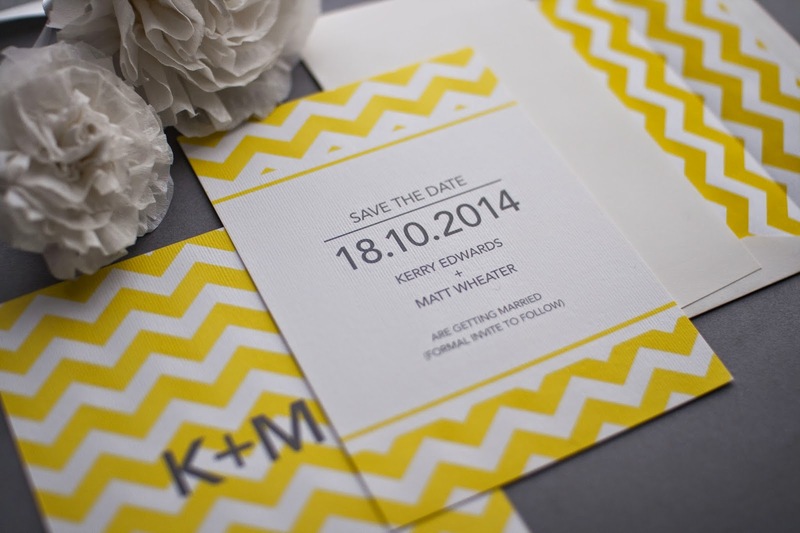 Do you have any advice for our brides to be when choosing their wedding stationery? Think of your Wedding Stationery as the beginning of the story, setting the scene for what's to come, giving your guests a tantalising taster!! It can be as simple as introducing a colour theme that will echo through your day or if you are planning a themed wedding you can have fun sending themed invitations to get them in the spirit of things!! Also don’t forget about the extra stationery items you will need for the day itself. Seating plans, place cards, menus and signs etc. can all be designed setting the tone for your whole day. Could you explain more about your bespoke service and the steps that it involves? We offer both template design (where the design has already been created and you can customise colour, text and card) and Bespoke design. Our Bespoke design service is for couples who want something truly unique, created just for them. We can design to exact specifications or we can provide creative inspiration! The process starts by filling in our enquiry form. The form includes a small questionnaire that helps us to understand the couples requirements. We then contact the couple to discuss ideas and budget in greater detail. Once everyone is happy we start with initial design concepts, giving the couple different design options to choose from. 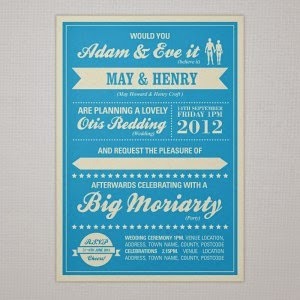 We then work together refining the designs until we have the perfect wedding stationery design. 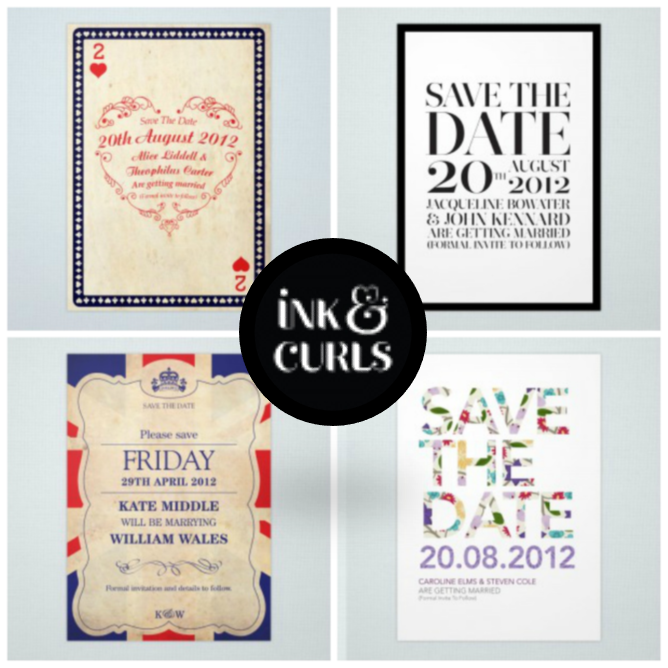 Many of your stationery have associated themes, for example Mad Hatter's Tea Party and Gatsby. If you were to have a themed wedding what would it be and why? We had a mad hatters tea party. We had decided upon a manor house as the venue & i loved the idea of a vintage look with mismatched tea cups etc but we also wanted to add an element of fun to the day for our guests. The mad Hatter theme pulled all this together and we provided guests with a dressing up box of ‘mad hats’ so that they could join in the fun. it worked really well with some guests making their own hats for the occasion!! Well i am inspired by beautiful weddings and the couples themselves that let their personality shine through on their wedding day making their wedding unique. James (who is the true designer!!) is inspired by everything!!! but he especially loves typography, colours, textures, pattern and illustration. I think together we strike the perfect balance. Can you tell us your three favourite products from your store and why they are your top picks? Alice - because of the designs roots and sentimental value to us. 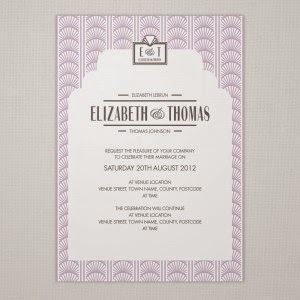 It was the design that started the company and makes for a really fun and unusual invitation. Gatsby - because we love art deco design and think this invitation is elegant and timeless. Bow Bells - (although not everyone's cup of tea) the use of rhyming slang makes us smile and having fun is important to us! Are there any future projects in the pipeline that you would like to tell us about? We have been working on some new designs (attached are some images you can use as a sneak peak for your readers) we will also be adding ‘on the day’ stationery items to the collection in the near future. Do you have any goals or aspirations for your company in 2015? We have kept the growth of the company slow and steady so far, concentrating on offering our customers the best design service possible. We would like to see it going from strength to strength, adding to our design portfolio and giving our customers a broader offer. Do you have any tips for anybody thinking of setting up their own business? Make sure your business is something you enjoy and are passionate about. Starting your own business is a labour of love made all the easier if you enjoy what you are doing! !